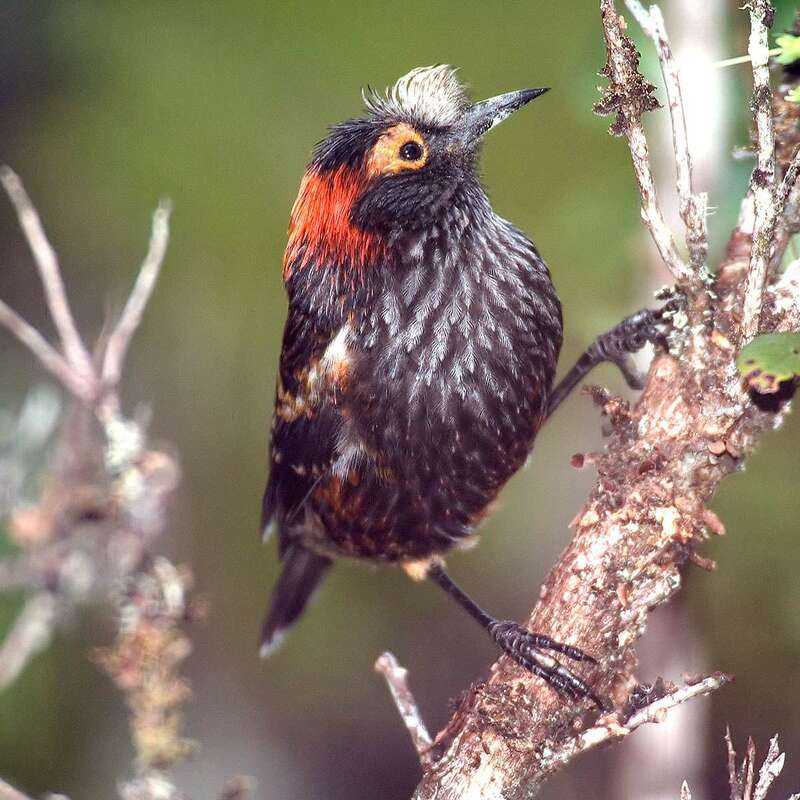 The ‘ākohekohe, or crested honeycreeper, has a white crest above its bill and black feathers speckled with orange. Only about 7 inches in length, the ‘ākohekohe survives primarily on the nectar of native Hawaiian plants. The ‘ākohekohe prefers wet, high-altitude rainforests where it can find flowers with its preferred nectar. 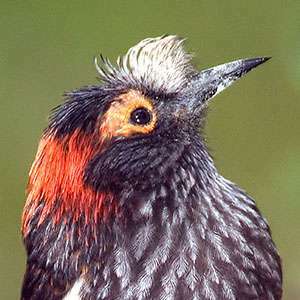 The crested honeycreeper is territorial and will chase away other birds that move into the area. While ‘ākohekohe were originally found across the island of Maui and nearby Moloka‘i, they are now confined to a small area of Maui within Haleakalā National Park. In 2016, the bird’s population numbered approximately 2,400. Nonnative animals, such as pigs, goats and cats, have contributed to the decrease in ‘ākohekohe habitat and populations. Human development has also decreased the available habitat, and the bird is likely vulnerable to avian diseases such as West Nile virus. The ‘ākohekohe’s existing habitat has been completely fenced to eliminate the threat of pigs and goats, however other pests such as rats and mosquitoes still need to be actively controlled. While potential habitat exists in west Maui and east Moloka‘i, efforts to develop new populations in captivity have not proven very successful.